In the uncertain world of IT management there is no such thing as predictability. Safeguards can be instituted, protections put in place, and reasonable assurances can be made that data is secure. But as businesses have discovered since housing data on servers became commonplace, managers can never feel 100 percent complacent about their IT protections. Yet the perception remains: To many IT professionals, protecting infrastructure is viewed as an option, not a necessity. This misguided attitude is embraced across a broad spectrum, but can come with significant pitfalls; it can set up a company for a rude awakening in the event of a disaster resulting in the loss of critical data. The hurdles for fully embracing a disaster recovery program are understandable. Not surprisingly, cost is the preeminent factor in hedging against a data recovery plan. Allocating funds to an intangible — similar to an insurance policy — is something that many IT managers are loath to accept. Beyond expenditures, there are also the challenges of updating and testing disaster recovery infrastructure. After all, data protection is only as good as the DR plan you have in place. There is also the time, energy and expense of investigating various disaster recovery options. It’s not for the faint of heart. Fortunately for data center managers, there is a light at the end of the proverbial tunnel. The emergence of cloud computing has given rise to a wealth of data protection options. Additionally, new disaster recovery software has made DR easier, more accessible — even more affordable — than ever. In short, today, with myriad options available, there is no reason not to employ a strong disaster recovery program into your IT infrastructure. In fact, here are five distinct reasons why you definitely should consider disaster recovery as a service for IBM I operations. Disaster Recovery as a Service, or DRaaS, offers numerous cost-savings benefits. IT managers currently overseeing a disaster recovery infrastructure know all too well the costs associated with not only instituting the initial DR program, but maintaining it as well in perpetuity. These costs can skyrocket. They include: buying or leasing space as a backup datacenter; making accommodations for leasing a datacenter; paying for increased electrical power, cooling and providing for Internet bandwidth at a secondary location; the expense of buying or leasing servers, storage or network equipment for an offsite location; and the cost for employees to travel to and from offsite data centers on a regular basis. Needless to say, these charges can add up significantly, quickly. With DRaaS, relying on a service provider means that most of these costs are nonexistent to you. The service provider assumes the role of managing the secondary data center — including all of the associated expenses. Face it: Establishing and maintaining an offsite disaster recovery location is expensive, complicated business. By relying on a qualified DRaaS provider, everything from establishing initial infrastructure and administration, to upgrades and maintenance contracts, is handled. It turns an otherwise complex set of tasks into a carefree operation. Not all DR solutions are created equal. In fact, some replication solutions actually inhibit your ability to replicate among different hardware, storage or certain versions of IBM i operating systems. Some replication solutions are earmarked for specific applications, leaving you in the lurch. When you opt for DRaaS, you’ll find solutions that are hardware independent; that is, they can replicate among different versions of hardware, software and operating systems. They can also replicate between on-premises servers and off-site servers in the cloud — a real advantage over more limited services. In addition, DRaaS solutions give you the flexibility to expand levels of protection to include new applications and data. It actually accommodates your replication needs as your business warrants, a real plus for a changing business landscape. Anyone in the IT business knows that time is money. Hours spent searching for a viable replication services and disaster recovery provider equals money down the drain. With DRaaS, this complicated, time-consuming process is eliminated by handing over disaster recovery issues to a single qualified professional DRaaS provider. If you’re just becoming familiar with the need for disaster recovery, opting for a DRaaS right away will save you untold quantities of time, money, energy and frustration over going it alone. The IT landscape is littered with tales of data managers who opted to deploy their own disaster recovery program — only to regret it once they discovered how cumbersome it can be to undertake in-house. Oftentimes embarking on a home-grown disaster recovery program needs to be done in stages, leaving companies strictly limited to protecting only their most valuable data assets rather than their entire phalanx of servers. With a DRaaS provider, every vital server is protected — immediately — along with all applications. DRaaS is the smartest, most efficient, all-encompassing disaster recovery solution available for data protection. Weighing whether and how to adopt a data protection program can be challenging. 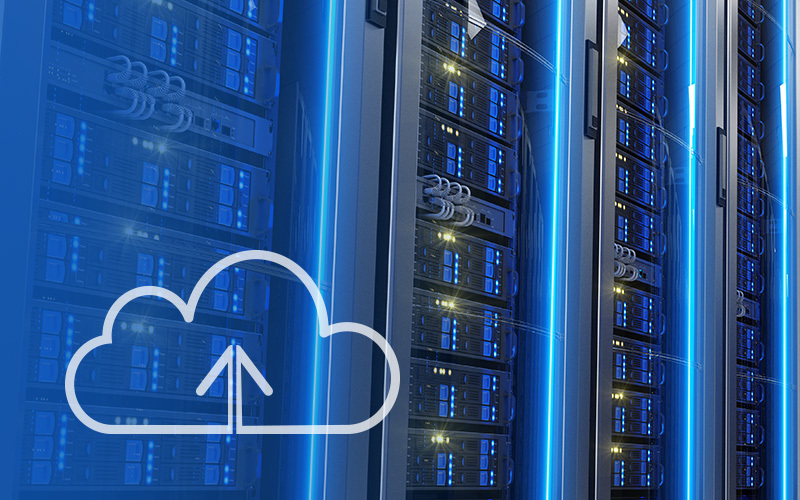 However, considering a qualified DRaaS provider right off the bat is the smartest way to move forward toward keeping data safe and secure — and doing so wisely and with smart business in mind.